Practice Areas: Temporary Relative Custody — The Law Office of Debra M. Salisbury, P.A. All too often a parent or parents may not be able to provide a safe or stable home for their child(ren) and they end up in the care of grandparents or other relatives. If you are a grandparent, uncle, aunt, or other adult relative that finds yourself in this situation it is important to contact an attorney for advice about your rights and legal options. The Law Office of Debra M. Salisbury, P.A. 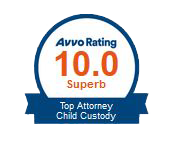 is experienced in handling temporary relative custody matters, and will advise you regarding the possibility of a temporary custody order under Florida Statutes 751, which may be an ideal alternative to formal juvenile dependency proceedings or termination of parental rights.